The most popular fix lens of course is a 50 mm lens. This lens is indeed a quality standard size lens. That’s why this kind of lens is easily found on the market. Nikon, Canon, Sony as well as other photography brands release 50mm lens products. Even the flash light manufacturer like YongNuo also released a 50mm lens at an affordable price. Furthermore, the second best-selling prime lens is 35mm. There are photographers say 85mm is better than 35mm. Nikon manufacturers have a choice of 35mm f / 1.8 and 35mm f / 1.4 products. However, for Canon only has 35mm f / 1.4. 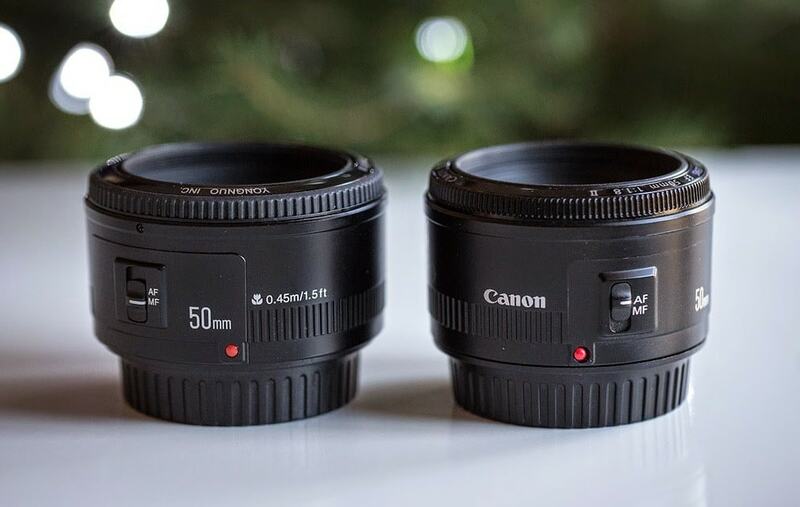 Then what is the difference between a 50 mm vs. 35 mm lens? Advantages of 50 MM VS 35 MM Lens? Disavantages of a 50 MM VS 35 MM Lens? These two lenses certainly have their respective advantages. So on the market today we can choose two normal fix lenses that are not much different in length, namely 35mm and 50mm. Both have large lens, prime sharpness, good quality and low prices (for versions f / 1.8). Then which one is better to choose? The choice starts from looking at the camera used, we assume you are using a DSLR with the APS-C sensor with a crop factor. What are the advantages of each lens? As we know, many manufacturers produce this lens. This lens has a normal image angle and perspective. This is the same as the human eye looks at. The lines will look perpendicular. The 50 MM lens is also suitable for close-up photos. The reason that this lens is equipped with 50mm focal and APS-C sensors. So, it is effective focal would be 75-80mm which is more telephoto. In addition, this lens is good for portraits. Half body photos and candid photos also use this camera. This 50 MM lens is also relatively cheap. Lens from brands like Canon and Nikon 50mm f / 1.8 are valued at only 1 million. Of course the second price can reach hundreds of thousands. Suitable for you with a limited budget who want Sharpness of a class of premium lenses. Even though this is classified as a cheap lens, the sharpness of this lens is superior due to prime optical elements that are not too much. After knowing the advantages of the 50 MM lens. You also need to know the advantages of the 35 MM lens. This lens is great for those of you who like studio photos. This lens is also able to get a wider viewing angle. When compared with a 50 MM lens. This lens is not only capable of producing portrait photos, but also landscape photos with great results. With this lens you can also get interesting dimensions. The combination of this lens and camera also has decent bokeh, even though it’s not as thin as a 50 MM lens. Although these two lens have many advantages. It turns out that the 50 MM lens and 35 MM lens also have disadvantages. We will discuss it one by one. Focal length of 50mm which is difficult to get a wide viewing angle. It is difficult for you to take wider pictures, which is why 50mm is only a specialist for portraits. Shooting landscapes is certainly not recommended. Ordinary 50mm lenses have a quality autofocus engine that is less good, tends to be noisy and still often miss focus. It also cannot zoom because it is a fixed lens. The distortion that was still felt and quite clear. Remember the more lace the focal length the impression the photo will widen. This is unlike 50mm which is very perspective. It also cannot zoom because it is a fixed lens. Relative prices are more expensive than 50mm for one class. So, 35mm has advantages in a wider viewing angle, make it multifunction for portrait and photography that requires a large area. That’s the advantages and disadvantages of the 50 MM and 35 MM lenses. Both have large lens, excellent sharpness, good quality and low prices. When you decide you also have to look at the type of camera used. So, are you still confused about choosing a lens?